This 4th of July Printable Preschool Worksheet Pack was designed to be used with children from 3 to 5. This pack is a perfect morning or afternoon activity to go along with reading books about Independence Day. 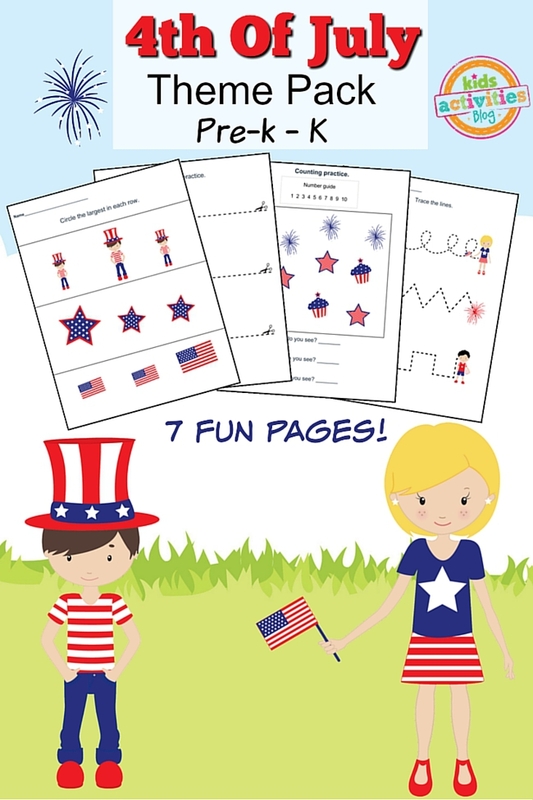 It is a printable pack with cute 4th of July graphics and great activities to help with fine motor skills and counting. Print off a whole bunch of these and put a pile of pencils and crayons on the picnic table for the kids to work on during your July 4th activities. 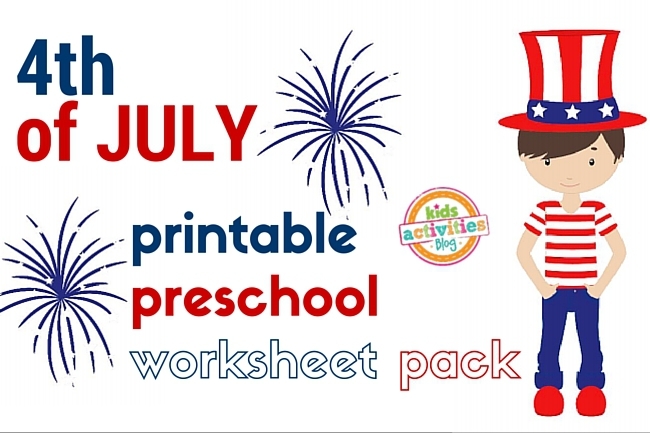 This 4th of July Printable Preschool Worksheet Pack contains 7 pages. Previous Post: « 3-Month-Old Giggles As He Sees Mom Clearly For The First Time!